Description Large blooms in South Sound and Main Basin with abundant macro-algae. Very complex surface water masses that meet at a triple point in Main Basin. Widespread algae bloom in Main Basin; surface water temperatures warmed in the last few days to 13-14 °C. 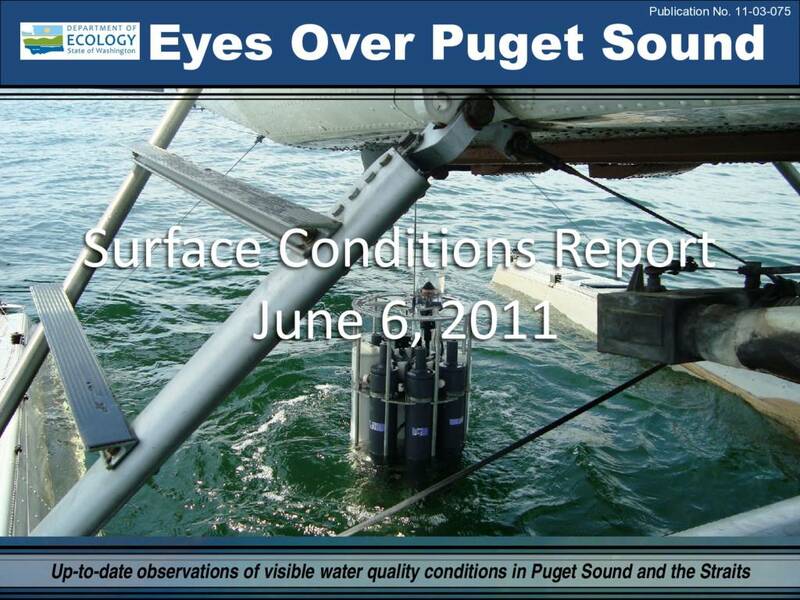 Dissolved oxygen levels remain high.